Government guilty of breaching human rights over Grenfell cladding and protecting workers and citizen’s health and safety. The Hazards Campaign welcomes and supports the statement by the Equality and Human Rights Commission, EHRC, that the government is breaching its fundamental obligations to protect citizens’ right to life by failing to address the systemic problems of health and safety that led to the Grenfell tragedy. The Commission expressed its concern that the consultation on the use of external cladding omits any reference to the government’s duty to protect lives under article 2 of the European Convention on Human Rights and schedule 1 to the Human Rights Act 1998. The EHRC has written to the Department for Housing, Communities and Local Government (DHCLG) outlining its concerns about the continued use of combustible cladding in existing buildings and advising the department of its responsibilities under human rights laws to protect lives. 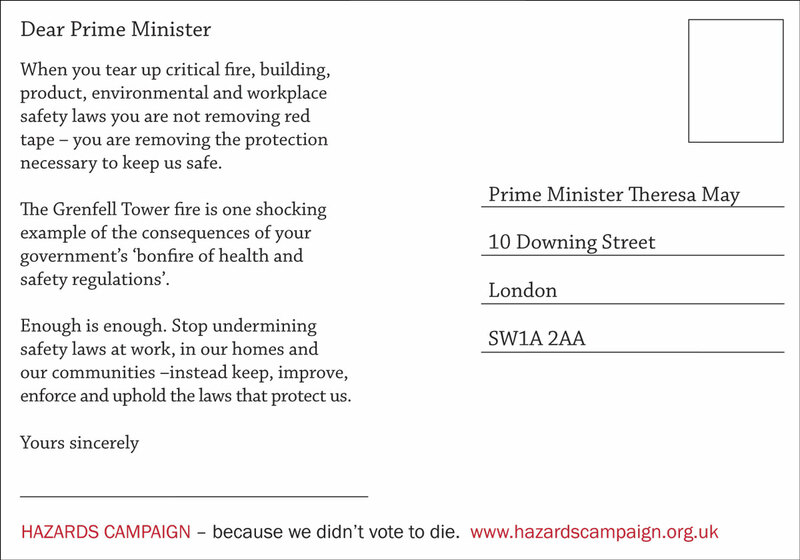 The Hazards Campaign specifically agrees and welcomes the EHRC challenge to the government that their failure to address the risk to life posed by combustible external cladding, similar to that used on the Grenfell Tower, is a breach of human rights. We would argue this existed both before and after the tragedy, but we also argue there is a wider breach of the human rights of workers and citizens in the attack on health and safety regulation generally. “On the issue of cladding, we call for much stricter building controls, clearer guidance and effective, independent not privatised, outsourced enforcement,” said Janet Newsham, acting Chair of the Hazards Campaign . “We also agree with the EHRC intervention’s wider view which supports our long-held and consistent argument that health and safety is a crucial underpinning of the human right to life and, as such, the attacks upon it, ironically called Better Regulation but essentially deregulation and enforcement cutting, constitute an attack on workers’ and citizens’ right to life. 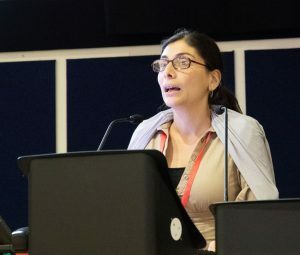 She added “ We have long argued that the government has failed to provide a strong and effective system of regulation and enforcement of health and safety at work, adequately funded and independent of concern for business interests which complies with the ILO minimum standards and this breaches workers’ human rights. 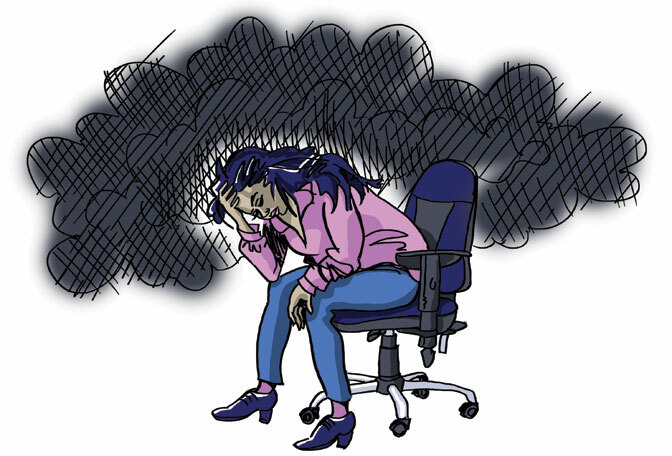 We believe that everyone has the right to go to work and come home from a shift alive and well, with their physical and mental health unimpaired in short or long term. “Further we argue that the process of government attack on this already inadequate system, via un-evidenced, ideologically biased notions of ‘bonfires of red tape’, ‘ removing the ‘burden on business’, puts workers at more risk of losing their lives and health, and also led directly to the disaster at Grenfell which killed 72 citizens injured and traumatised hundreds more. EHRC recognises, that the lack of a good health and safety protection continues to imperil tenants of blocks clad with similar combustible material and has published a paper ‘Following Grenfell: the right to life’ which develops the argument as to how the government is breaching human rights law.. 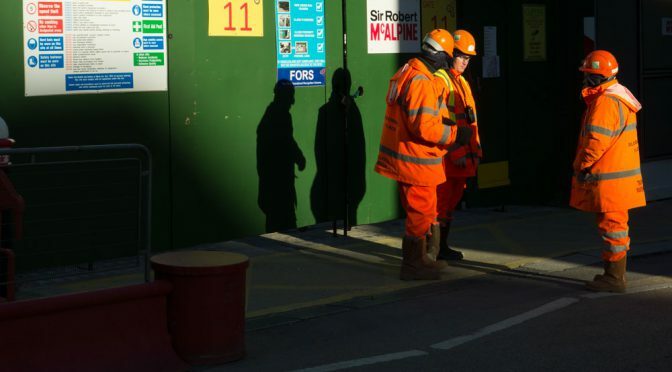 The Hazards Campaign says the UK’s Health and Safety Executive (HSE) underestimates massively the true figures of workplace deaths and injuries focusing instead on only a part of the story. Millions of workers are made ill and over 50,000 are killed by work yearly, rates significantly higher than HSE estimates. In the briefing document The whole story: Work-related injuries, illness and deaths the Hazards Campaign explains these shocking figures. 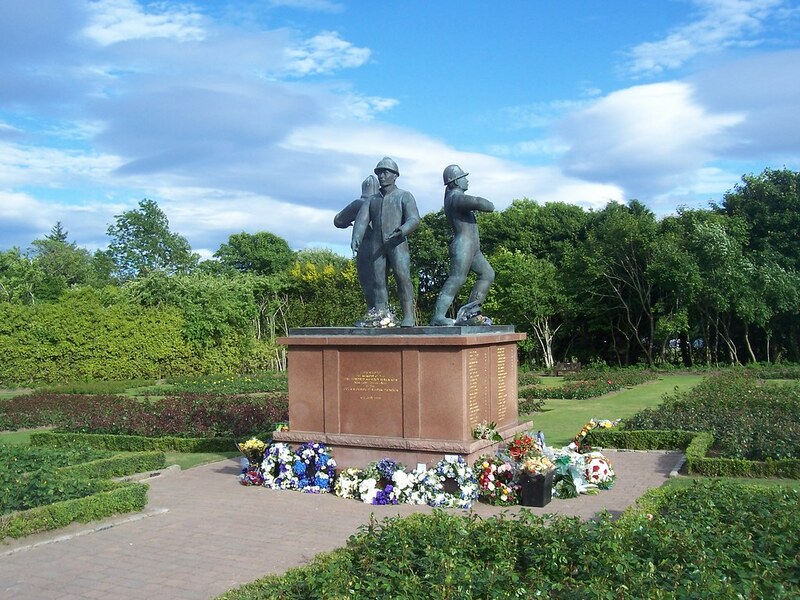 On the 6th July 2018 the names of all 167 workers killed in the Piper Alpha Explosion and fire 30 years again were read out in remembrance. Thanks to Scottish Hazards for this list. We should know their names, speak their names, and while remembering them, fight like hell that others will never again be killed in similar way. However, regulations and safety lessons written in the blood of those 167 men killed in the Piper Alpha explosion have already been weakened and are being ignored, leaving current offshore workers at greater risk from hydrocarbon leaks, HCR. And Martin Temple Chair of HSE also says failure of other sectors to learn the lessons led to the fire at Grenfell. 30 years ago Piper Alpha was the worst fire in peace time, resulting from the rush for profit from oil taking all precedence over oil workers’ lives without strong laws and enforcement in place to protect them. The direct consequence was that 167 were killed, 167 families devastated, 61 survivors and others were traumatised. Removing a conflict of interest by making the Health and Safety Executive, HSE, rather than the Department of Energy responsible for health and safety offshore, and the development of a ‘safety case regime’ similar to that in the nuclear industry were two chief recommendations of Lord Cullen. Chris Flint, HSE’s Director of Energy Division, is so concerned he wrote in April this year to all offshore operators urging them to assess their operation and reflect on learning from incidents. Scottish Hazards notes that the OffShore Installation (Safety Case ) Regulations 2015 put a duty on operators to consult with safety reps on the safety case and ‘to make arrangements to communicate national arrangements for anonymously reporting health and safety concerns.’ While welcome, Scottish Hazards emphasises the reality that without clear evidence of strong enforcement by the HSE to ensure adherence to safety cases by operators and penalties for those who don’t, workers cannot develop the confidence to report concerns. The Hazards Campaign is launching a drive to reclaim regulation and stop the deadly ‘better regulation’ that caused Grenfell and so many other deaths at work, at home, from unsafe food and from environmental pollution. 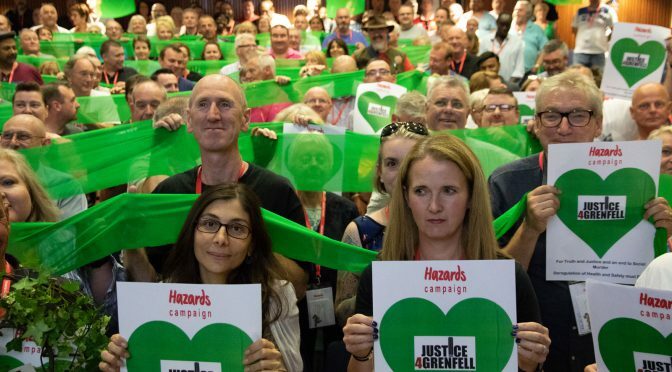 One year on, the Hazards Campaign renews the call that the Grenfell Tower fire must be the ‘Enough is Enough’ moment when deregulation of health and safety is officially acknowledged as deadly and dangerous, the Tory fetish with deregulation ended, and a system of strong laws, strictly enforced intended solely to protect us at work, at home and in the environment is restored and reinvigorated. Getting truth and justice for Grenfell, workers and citizens means reclaiming strong regulation, strictly enforced, as a social good! 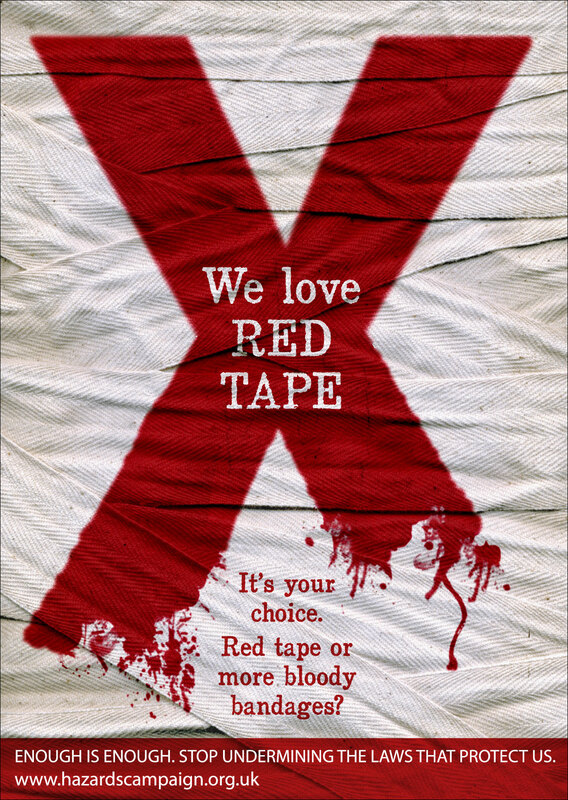 We want an end to the lies and denigration of health and safety as ‘pointless ‘red tape’ and a ‘burden on business’ are banished for good. 6th July is also the 30th anniversary of the Piper Alpha fire which was the worst fire in UK in peace time, killing 167 people. The Grenfell fire was no accident, but an atrocity graphically foretold by tenants and rightly called social murder as the state permitted this to happen. It is also about austerity, poverty, inequality, housing policies , gentrification, social cleansing, and racism about which Profs. Dave Whyte, Steve Tombs, and many eminent people have written. The root cause of the Grenfell fire is that the system of laws and enforcement on fire and building safety which most people thought was keeping them safe in their homes, became so bad that it allowed flammable material to be wrapped around a previously fire-safe tower block turning it into a death trap, causing an inferno, that firefighters could not put out, killing 72, injuring 70 and traumatising survivors and countless others in the local community. It was weakening of the laws and enforcement around fire safety to benefit profit making by construction, manufacturers of material and property businesses that enabled the unsafe refurbishment to Grenfell Tower. This lax system allowed the use of flammable materials in cladding and insulation, the privatisation of building control safety allowing non- fire experts to inspect premises and building works, and sign off safety, refusal by government ministers since 2010 to review and change Part B of the Building Regulations recommended by the Coroner after the Laknal fire in 2009, and repeated many times by many fire experts. The cuts to fire and rescue services made the job of fighting the fire so much harder. 15,000 postcards and ecards were sent to Theresa May. In the immediate aftermath of the fire, deregulation and the war on red tape was publicly identified by many as the chief culprit Even usually health and safety-hating tabloids accepted that the fire itself showed that fire safety law had failed.. The Institute for Occupational Safety and Health, IOSH, wrote a letter to the Prime Minister calling for an end to deregulation. Architecture and fire experts including Arnold Tarling , Sam Webb and the Fire Brigades, had warned of refurbishment compromising the built-in fire safety containment of tower blocks. There were warnings from the 1980s and especially since the Laknal House Fire in 2009 and the Coroner’s recommendations for a review of the Building Regulations. All warnings, even via the All Party Parliamentary Group on Fire and Rescue were disregarded, often with extreme contempt, especially since 2010, by Tory ministers hell bent on removing ‘red tape and burdens’ from business and ignoring clearly warned of consequences for fire safety and lives of those in tower blocks. The Scottish Government did change their Building Regulations in 2005 after a fire in a 14 storey tower block in Irvine, Ayrshire that killed one person, showing it could be done. Work deaths are not as horrifyingly public as the Grenfell fire. We hoped the Grenfell atrocity was so terrible it would be the moment that changed everything, when deregulation could be stopped, reversed, and a formal recognition that protective laws like fire safety are necessary, a civilised, social good, not bureaucratic ‘red tape or a burden on business’. However we expected a backlash, a blaming everyone lower down, the victims, a retreat from the real causes and attempts to cover things up and a complete lack of urgent tightening of laws to make tower blocks safer. And so it has proved with deregulation falling off the agenda . The blame is still not focused on the real culprits, governments and ministers responsible for the deadly deregulation of laws and enforcement meant to keep us safe at work, in the environment and in our own homes, and the businesses that took advantage and profited from it.. Government and ministers should be held to account for Grenfell deaths, not the firefighters who came to save lives in an impossible fire they did not create. The fire itself showed that the Building Regulations were ‘not fit for purpose’ and that combustible/flammable materials should not be permitted on the outside – or inside – of tower blocks. Yet Dame Judith Hackitt’s Building Regulations Review did not suggest immediate changes to Approved Document B of Building Regulations, or a ban on flammable cladding/insulation (or retro fitting sprinklers, or second means of egress). While the government has said flammable cladding will be banned, there is likely to be the sort of ‘Red tape’ consultation which may give equal or more weight to the corporate bodies who make, sell, buy and install this material and who are already lobbying against any ban . The response of the national and local state at the time of the fire, and since, has been widely acknowledged as abysmal, with victories only being won due to local community organising effectively for practical relief, and for justice and truth. Theresa May has ruled outside the terms of reference of the Public Inquiry (PI) any scrutiny of government policies or questioning of ministers who took decisions that rejected warnings which could have prevented the Grenfell fire. The criminal investigation by the Metropolitan Police has also ruled government policies outside of its remit. The PI has a long way to run, but the bizarre chronology of putting fire fighters in line for scrutiny before those who created the inferno, has led to a nasty feeling. 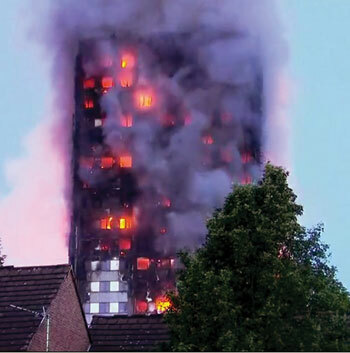 We hope that the manufacturers of the cladding, insulation and all who specified, bought, installed and inspected it and passed t as safe, will come in for just as rigorous questioning and scrutiny when their turn comes. 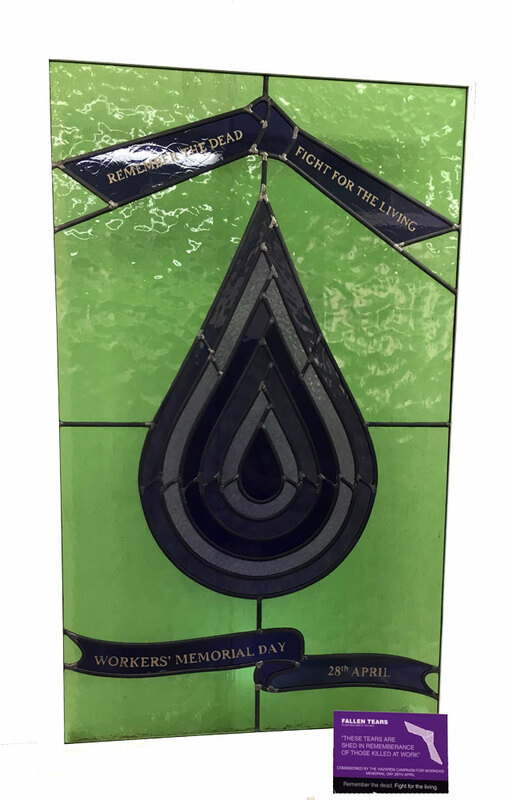 On the first anniversary of Grenfell, all around the country directed by the community at Grenfell, moving memorials were held to both remember and mourn all those killed but also to support their families and the community in their fight for justice and truth. In an event organised by Salford Trades Council, held in the shadow of some of the tower blocks clad in similar material to that at Grenfell, Hilda Palmer of Greater Manchester Hazards Centre, Families Against Corporate Killers and the Hazards Campaign read out the names of the 72 who were killed, in a heart-breaking testimony to their legalised social murder. An end to health and safety deregulation and reclamation of the philosophy that regulation as good for all of us and is what a civilised state should provide for its citizens. Establishing that the primary and sole purpose of health and safety regulatory watchdogs shall be the prevention of harm to the lives, health, safety and welfare of workers, citizens and the environment, not the protection of business interests first. Provision of adequate funding, resources and independence to health and safety regulatory watchdogs the HSE, Local Authorities etc – given real teeth and power to enforce their primary and sole purpose. Restoration of proactive, preventative inspections to check on employers’ compliance, and far more prosecutions and enforcement actions against non-compliant and criminal employers and businesses. Dismantling of the apparatus of ‘Better Regulation’ which is the mechanism by which deregulation operates, including an immediate end to: Business Impact Targets – considering only business costs not health consequences; the One in Three out approach -no new law unless three laws of equivalent cost are repealed; the ‘Growth duty’ on health and safety enforcement authorities meaning they must consider first the impact of regulating on the business interests; the Primary Authority scheme allowing national companies to shop around for a Local Authority regulator and enter into a commercialised relationship. The latest HSE provisional figures for workplace fatal injuries in Great Britain show 144 fatally injured between 1 April 2017 and 31 March 2018 which is nine more lives lost in preventable incidents than the year before 2016/17. Coming a year after the Grenfell fire, and just before the 30th anniversary of the Piper Alpha fire which killed 167 workers, the upward trend is worrying. The Cullen Report into the Piper Alpha disaster led to tighter regulations and enforcement of fire safety offshore. Health and safety regulations written in the blood of the Piper Alpha workers undoubtedly saved many lives over the years but the lessons were not learned across all industries and could have prevented Grenfell . Work deaths were dropping steadily up to 2010 when the Tory/Lib Dem coalition turbo charged deregulation with the ‘Red Tape Challenge’ and attacks on HSE, but have plateaued since. Now the trend is going in wrong direction. Work deaths are going up while the government obsession with deregulation is just as strong and just as deadly. Anecdotal reports from offshore workers show they fear things are going backwards in terms of safety offshore, and fear that, as at Piper Alpha, profits are being put before workers’ lives. But HSE official ‘144 killed by work’ is only the tip of the iceberg which we estimate at more like 140 a day dying from work! Hazards Campaign’s report The Whole Story explains that the 2017/18 144 worker deaths reported by the HSE plus another 100 members of the public is pretty horrifying but isn’t even the full total of those killed while working, let alone all those killed by work illnesses and dying often years later. The HSE only counts those killed at work in incidents which are reportable to HSE and Local Authorities under RIDDOR . It excludes all those killed while at work on the roads, at sea and in the air – as their report makes clear in the Technical Note on page 13. It also excludes work-related suicides, which are not reportable under RIDDOR and are not even investigated. Although HSE records 100 members of the public killed, it does not add them to the total and report them. It does not include the 72 people killed at Grenfell arguably due to the work-activity of refurbishing which turned it into a death trap. These HSE statistics only refer to fatalities in incidents at work, not due to illnesses, but they are frequently reported as a total death caused by work figure. To the totals of around 1,500 killed by work-related incidents, must be added the estimated 50,000 dying from disease caused by poor working conditions. Evidence is piling up that shows what makes work safer and reduces deaths is strong unions, strict enforcement and strong, active unions . To reverse the upward trend in preventable deaths caused by work, the Hazards Campaign calls for the strict enforcement of laws and employers duties to workers, stronger laws, repealing of anti trade union laws and more rights for workers to know the risk they face, to enable participation in workplace health and safety, and the right to refuse dangerous work. 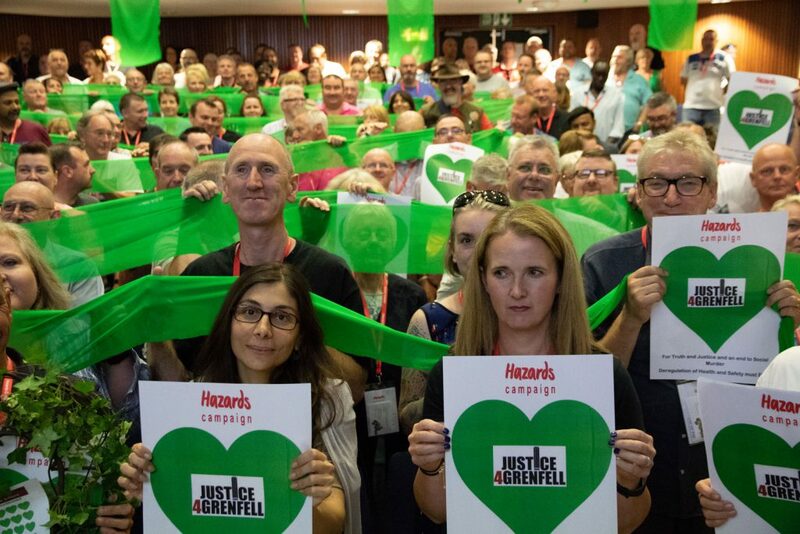 The Hazards Campaign calls for an end to deregulation of the protective health and safety system which has been fully and publicly exposed as deadly by the Grenfell fire . We call for an end to the government enabled downward slide into a third world, informal precarious economy which is bad for workers, bad for the economy, everyone. Every day this comes to about 140 people killed because of work. Louise Taggart recently voted Most Influential Health and Safety Person at SHP Expo illustrates ‘ The Whole Story’ in a soap box talk. Yesterday Louise Taggart was announced at SHP Expo as the most inspirational health and safety person of year in their poll, winning by a large margin. Louise is trustee at Scottish Hazards, a member of the Hazards Campaign and became a founder member of Families Against Corporate Killers, FACK, after her brother Michael was killed at work on 4th August 2005. “The Hazards Campaign and Families Against Corporate killers congratulate Louise on a well-deserved award as she is making a huge difference, influencing employers and managers, and inspiring workers to make work safer. “In the Hazards Campaign and Families Against Corporate Killers, we know that health and safety is all about love and the terrible grief that come from having a loved one killed at work in a preventable incident. Health and safety is about the love we have for our families, for our friends and workmates, and for our own lives. It’s about how we only want the best for each other, and for those we kiss goodbye to come home safe and well, uninjured, and with their physical and mental health unimpaired at the end of their shift every day. No one should die or be injured or made ill simply for going to work to earn a living. But every day in Britain around 140 people do die because of work. The equivalent to two Grenfell Towers every day are killed in incidents or due to illnesses caused by work. And almost every single death could have been, and should have been, prevented. 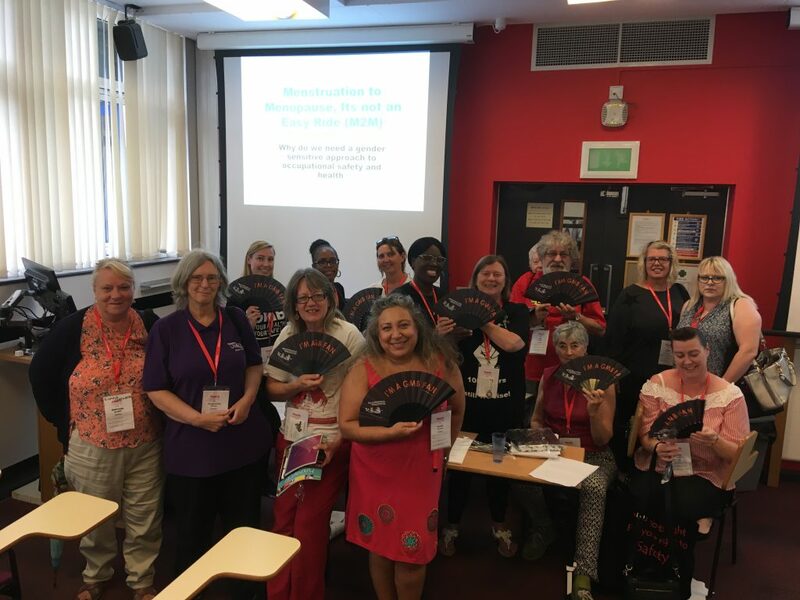 Louise is key player in the fight to stop preventable death at work and spoke about ‘The Whole Story’, the real numbers killed by work, at the SHExpo after hearing she had won. “Louise Taggart exemplifies that love for others in telling her brother Michael’s story to thousands of people at work, to make it clear how and why Michael died, the enormous impact on her and her parents, and what must be done by employers to make sure workers are not at risk of death or injury. Louise speaks from the heart, through the fire of grief, loss and anger tempered by extensive knowledge of the law and of the safety procedures which, if followed would have saved Michael’s life. She starkly reminds employers and managers and health and safety professionals of their legal and moral duties, the tragedy their negligence can lead to, and inspires workers to be clear about their rights and to challenge poor health and safety. Some have gone on to be safety representatives after hearing her eloquent speeches. Founder members of Families Against Corporate Killers, FACK: “Congratulate Louise and thank her for speaking up for all of us, telling our stories too. Louise’s brother Michael was killed at work on 4th August 2005 and she joined us bereaved by work families to set up FACK in July 2006. We wanted to provide help, to support, advocate for and represent families of others killed at work, as we had found little help ourselves. Louise has been a lifeline for many families in Scotland especially comments. She is a ferociously intelligent and eloquent advocate, bringing her knowledge and understanding of the law and her own personal experiences together in a unique, forceful and deeply moving way and most of us still cry when we hear her speak. She speaks for us all and tells our stories with love and anger, especially on International Workers Memorial 28 April every year, when we remember all those killed at work and fight for the living . “Like all of us Louise did not chose to below to this FACK club, but after her brother was electrocuted she turned her grief and anger into action on behalf of others, to stop others dying needlessly and we love her for it.